The awards invite students, graduates and other young creatives to respond to a real brief, set by some of the world’s biggest brands including Adobe and adidas. Antalis was revealed earlier this year as one such partner, working closely with D&AD to create an innovative brief entitled: ‘Let’s Get Physical: Conquer digital dominance with a creative paper experience’. Centred on the Arjowiggins’ range of Conqueror paper, distributed by Antalis, the brief explored and celebrated the possibilities of paper as a physical, tactile, and creative material for design in a digital age. Judging took place in May 2018 whereby the New Blood jury, consisting of nine industry experts including Antalis’ Marketing Director, Ian Webb, carefully reviewed the submissions. From a total of 7,743 entry downloads, 10 entrants were revealed as winners and have been eagerly anticipating the ceremony where each received their ‘Pencil’ – a golden ticket of sorts which allows them to tap into exclusive scholarship and funding opportunities, as well as achieve international exposure and potential employment opportunities. Naomi Taylor for #DearMrHousingMinister, a social media campaign focussing on alerting the UK housing minister to the uncertainty in social housing. The remaining winners were categorised as white, yellow, graphite or wood pencils. Two winners were awarded the New Blood Yellow Pencil for Antalis’ ‘Let’s Get Physical’ design brief; ‘Between the Sheets’ by Noah Ellison and Fergus Tillyard from Arts University Bournemouth and ‘Bones’ by Marco Minzoni and Eugenia Luchetta from the London College of Communication. 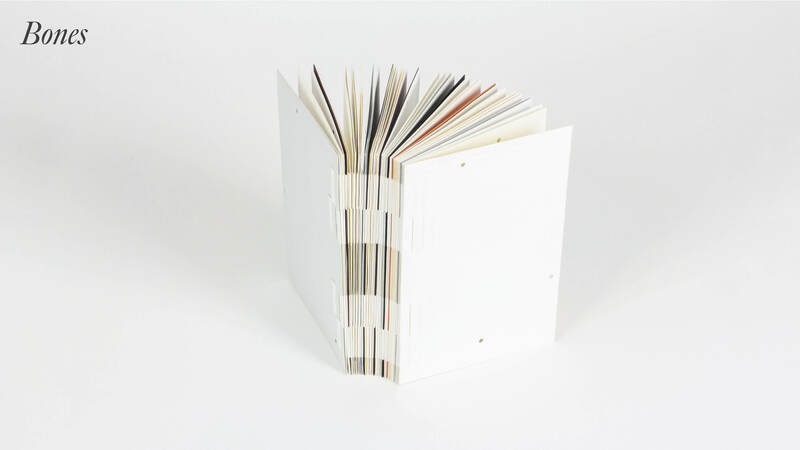 The former created a unique paper experience using the format of a paper sample book to present the viewer with a series of innuendos, encouraging them to interact with the book. The latter meanwhile constructed a book made exclusively out of paper, where no ink, no glue and no thread was added, with the objective of presenting paper as playing the leading role when it is often overlooked as merely a skeleton for the actual content. For more information about the winners, go to dandad.org/d-ad-new-blood-awards. For further information about Antalis please visit antalis.co.uk.